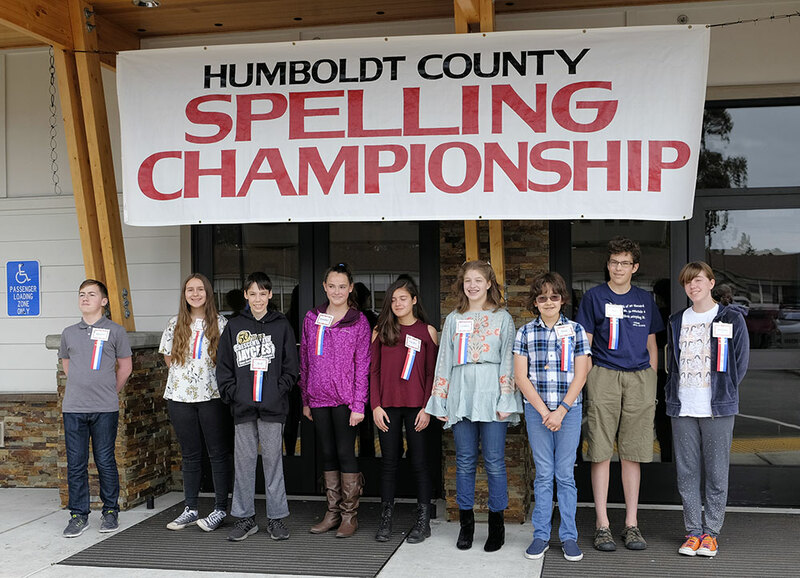 The Humboldt County Office of Education County Spelling Bee has been challenging spellers in 4th – 9th grades for more than 30 years. Spelling Bees promote the love of language and vocabulary. Students not only study words and their origins, but also have the opportunity to advance to state competition. The Elementary competition is an oral contest that allows one miss. Two co-champions will advance to the state competition in Stockton, CA. The Junior High competition is a written contest that allows 3 misses. Two co-champions will advance to the state competition in San Rafael, CA. Any public, private, or charter school (whose charter is held in Humboldt county) are permitted to compete. School and Regional bees are held in January and February. Each region sends two co-champions to the county competition. Humboldt County Office of Education will not render judgments relating to the conduct of local spelling bees. Individuals bearing complaints about the conduct of local spelling bees should register their concerns with local spelling bee officials. Decisions of local spelling bee officials are final.